Then, in the early 1800’s the island was discovered by its first European visitor, Captain James Cook, who was not welcomed by the natives. The island natives scared him off by painting their teeth red to appear like savages, for which he gave it the name “Savage Island”.25 Niueans recognized that disease came from close contact and did not want any outsiders on their island.11 Visitors to the island continued to come and be rejected. The Niuean [nyü-ˈwā-ən] culture has unique values and social norms. Some of the values that are important to the Niue [nyü-ˌwā] people include fakaalofa or gift-giving, generosity, reciprocity, and etiquette. Social norms include specific gender roles and statuses and the use of alcohol at cultural events. Other norms of this culture are that one should be respectful, hospitable, and a good host. The fakaalofa system has existed for many centuries in the Niuean culture. This is particularly visible in the presence of alcohol and large amounts of food and significant cultural events as a social norm. Alcohol and food have become an integral component of the Niuean culture as they are used during social gatherings, celebrations, and festivities. Celebrations are considered to be incomplete if alcohol and food are not present as they are reflections of cultural values including “fakaalofa (gifting), generosity, respect, status and host obligations”.27 Host obligations and responsibilities include providing large amounts of food and alcohol to cultural functions. Another norm in the Niuean culture is the belief that drinking alcohol is a “symbol of being Niuean and being a real Niuean man”.27 Based on the cultural expectations of hospitality and respect, Niuean men typically drink alcohol until it is finished. It is a social norm that when Niuean people offer food, it is very impolite to refuse. The Niue people are very rich in their traditions, beliefs, and attitudes. Some of the significant traditions, beliefs, and attitudes are comprised of death, relationships, ancestry, and holidays. Though not commonly seen today, it is worth of mention that the Niue people had a history of accustomed suicide. Many suicides were precipitated by feelings of shame or guilt. Many years ago, it was customary for conquered groups to commit mass suicides by jumping off cliffs.17 Suicide, however, is uncommon in today’s Niue culture. Death was a significant event in Niue culture. Often times, if the deceased person was of great importance, the mourning phase, or “tagi” [tæ-gi] lasted anywhere from fifty to one hundred days. In earlier times of the Niue history, men would shave their heads with shark’s teeth and there were intense wailing and “singing of the dirges”.17 Today it is not uncommon for women with long hair to completely shave their heads as a symbol of mourning. Funeral services are typically held in a temporary house called a “fale-tulu” [fa-lé-tü-lü] where the family of the deceased gather together, called a “putu” [pü-tü], and then proceed to mourn. The CIA World Factbook broke down the Christian denominations into the Congregational Christian Church of Niue at 67%, other Protestant churches 3% which includes Seventh Day Adventist 1%, Presbyterian 1%, and Methodist 1%), Roman Catholic 10%, Mormon 10%, Jehovah's Witnesses 2%, other 6%, and no religion as 2%.33 The Congregational Christian Church – and largest Christian church by population – was founded by the missionaries from the London Missionary Society during the 1840’s and 1850’s. The Niue people are very much like other Pacific Islanders such as those from Fiji, Tonga, and Samoa. Niueans are a very humble, kind, and welcoming people.8 The family unit is given the utmost priority. Personal relationships within the family, including relationships with elder members of the family, are highly valued. Niueans also share similarities with other islanders like Fijians, Tongans, or Samoans in how they regard their sense of self. Because family is esteemed so highly, it is not unusual to have many family members such as siblings, cousins, aunts, uncles, in-laws, grandparents, and parents at various occasions, meetings, dinners, celebrations, etc. These people have large, yet tight-knit families that love each other and respect each relationship.18 Niueans have a “herd like” approach when it comes to how the family operates. Decisions are made and actions are taken based on the good of the family as a whole. 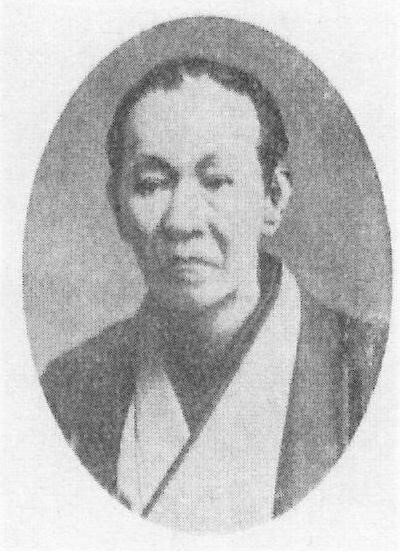 Niueans may experience a diminished sense of self because they focus so closely on the needs, wants, and reputation of their family. For example, if a family member brings dishonor to the family through his/her actions, it is not uncommon for other members of the family to feel personal shame or guilt for those actions.8 Niueans work as team and typically, their “team” consists of members of their family. In regards to communication style, Niueans utilize many westernized modes of communication today such as postal mail, telephone, internet, press, and radio. 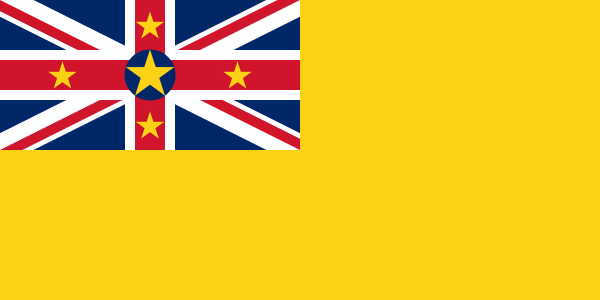 The island of Niue offers free internet service through an organization called the Internet Users Society Niue.26 There is one printed newspaper on the island called the Niue Star which is published weekly and is distributed in Niue, New Zealand, and Australia.26 It is printed in both Niuean and English. Since most Niueans are bilingual, English tends to be the language of business, while Niuean tends to be the language used within the family and village settings. Although, frequent switching of languages occurs in various settings. Typical Niuean food and feeding habits are consistent with those of other Polynesian cultures. Niueans rely heavily on agriculture. Although many Niue families can afford to purchase imported food, agriculture remains very important. “Subsistence activities not only raise food, especially highly prized ceremonial foods, but also symbolize the central values linked to work and identity.”4 Niueans raise both root crops and tree crops. Some of the most prevalent root crops they cultivate are taro, yams, and tapioca. The tree crops include coconut, bananas, breadfruit, mango, and papaya. Taro is a staple, and nearly all Niuean households have taro plantations.20 Niueans are also frequently found hunting and deep sea fishing, adding fruit bats, birds, crabs, and variety of fish to their diet. In the central town of Alofi, there is a local farmer’s market that takes place twice a week. Locals bring their home grown fruits, vegetables, and fish to be sold. Popular items at the farmers market include taro, breadfruit, yams, uga, and cassava.29 Celebrations aside, the village people typically consume only the local plants and fish, using an umu to prepare homemade food. Niue culture is characterized by a strong work ethic, however, opportunities to work on Niue are fairly limited. There is competition for scarce jobs. There are times when families have had little or no paid work, and instead tended their plantations, raising taro, tapioca and bananas to sustain themselves. “A Niuean proverb has it that if you keep your bush knife sharp – or stay motivated – you will clear yourself a bigger plantation”.24 Niue has always had a small population because of the strenuous work involved in crop production and the periodic famines. The demographic concern is depopulation. Every five-year census since 1970 has recorded a decline in the population between 15 and 23 percent.3 Now there is only an estimated 1600 people that live on the island, which is taking its toll on job opportunity and the economy. On Niue, there is a newfound sense of optimism that has come with more tourism money coming in. 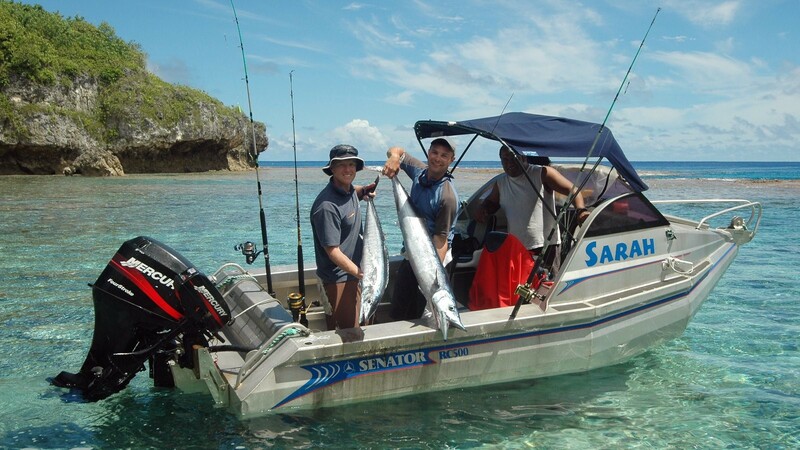 Men, especially young men, are expected to undertake physically strenuous or dangerous tasks such as deep-sea fishing. Niue’s clear waters have attracted deep sea scuba divers, snorkelers and sport fishermen, and has become a big money earner, with the tourists who visit annually contributing around $1 million to the economy.3 Unfortunately, like the export trade, tourism is also vulnerable to disruption because of bad weather. 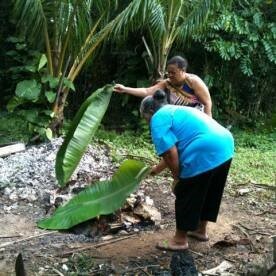 Niuean women are generally assigned tasks focused on the domestic domain such as cooking, weaving, sewing, and caring for old people or children. Mothers are the primary caregivers for infants. Grandmothers are crucial resources, especially for firstborn children, because they teach new mothers how to parent properly. When a child is around one year old, there is a heightening of the role that fathers play in parenting. While jobs are scarce and can be hard to come by, there are still options available on the small island of Niue. There are occasional teaching opportunities at local schools, plantation work, and government jobs. With Niueans putting such emphasis on work ethic, success in business and careers in tourism are also great possibilities. 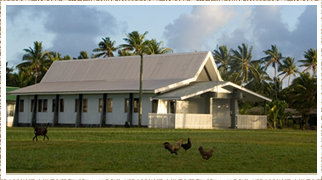 In Niue healthcare is available through basic social welfare programs and change programs. 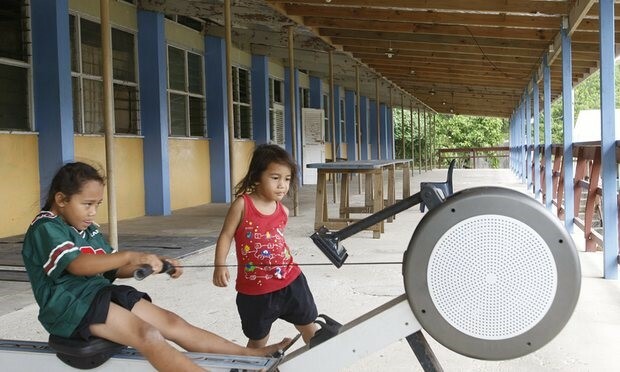 Within these programs,"free nutrition supplements are available to ensure the health and well-being" of the people of Niue.18 The pensions for these programs are more readily available for young children and the older population. Throughout Niue, there are several outpatient care clinics including a unique mobile outpatient care clinic that travels to each of the villages regularly. The healthcare system in Niue really focuses on public health surveillance and the prevention of disease through primary prevention methods. "This is accomplished through sanitary disposal of wastes, provision of potable water, rodent and mosquito control, and well-baby clinics and childhood vaccination programs".18 These are the key aspects to their health service delivery in Niue. Barker, J.C. (1985). Social Organization of Health Services for Preschool Children on Niue Island, Western Polynesia. Dissertation Abstracts International, 47-02:568. Barker, J.C. (1994). Home Alone: The Effects of Out-Migration on Niuean Elders' Living Arrangements and Social Support. Pacific Studies, 17(3):41–81. Centers for Disease Control and Prevention. (2015) Health Information for Travelers to Niue (New Zealand). Retrieved from http://wwwnc.cdc.gov/travel/destinations/traveler/none/niue. 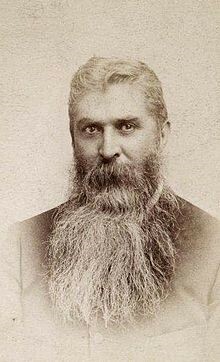 Cooper, C.C. (2000). Nuie. Auckland:Reed Children’s Books. Hahn, Robert A. (1999). Road warriors: Driving behaviors on a polynesian island. Anthropology in Public and International Health: Bridging Differences in Culture and Society. New York: Oxford University Press. Niue :History and culture. (n.d.). iExplore come back different. Retrieved from http://www.iexplore.com/articles/travel-guides/australia-and-south-pacific/niue/history-and-culture (Links to an external site.). Pollock, N.J. (1979). Work, Wages and Shifting Cultivation on Niue. Pacific Studies 2: 132–143. World Travel Guide. (2016). Niue Health Care and Vaccinations. Retrieved from http://www.worldtravelguide.net/niue/health. Yarwood, Vaughn. (1998). "Life on the Rock." New Zealand Geographic 37: 56– 86.